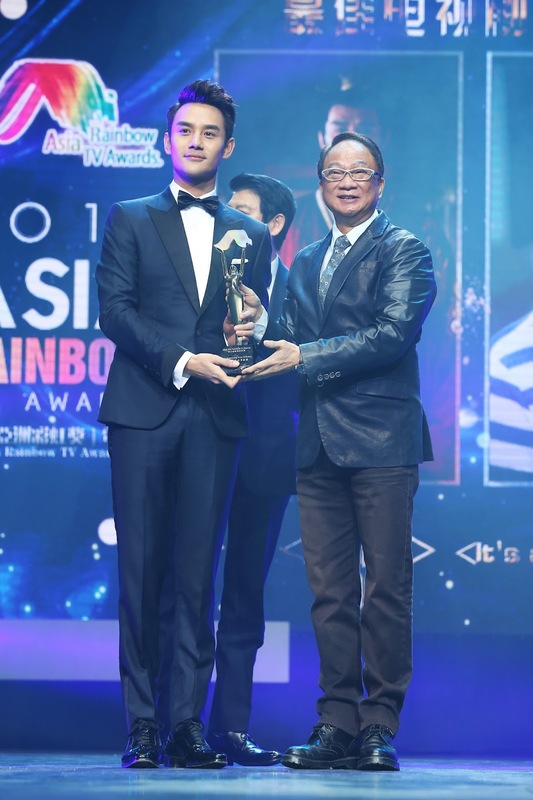 Looking ever the dapper gentleman, Wang Kai attended the 3rd Annual Rainbow TV Awards in Macau on the evening of the 27th of November. 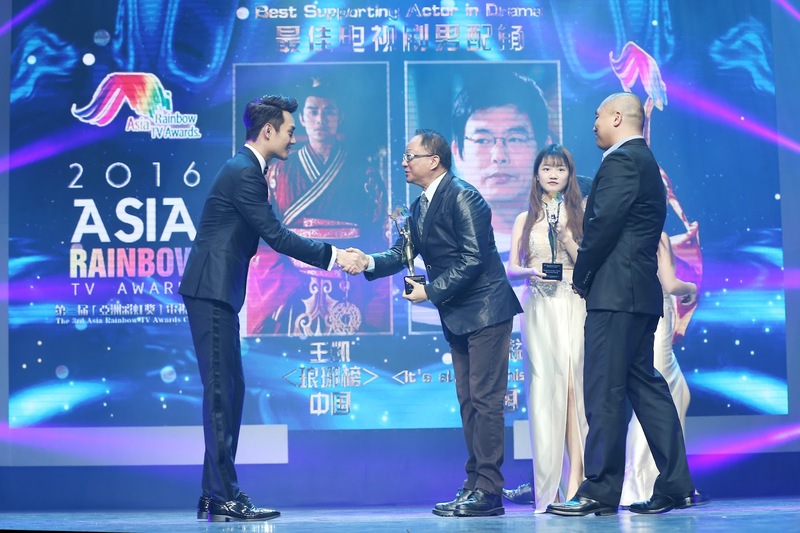 Wang Kai won best supporting actor in a drama for his role as Prince Jing in Nirvana in Fire. 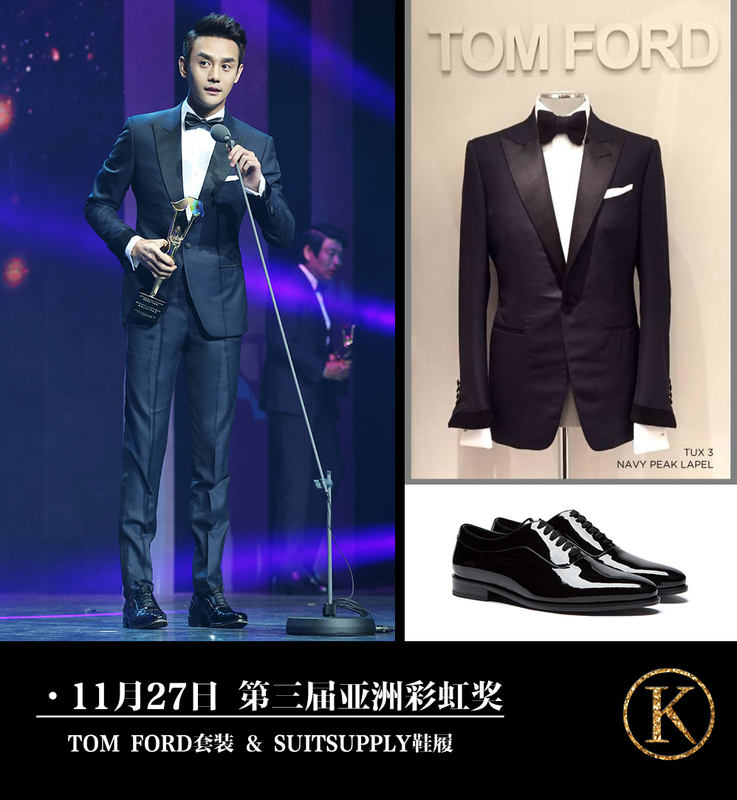 Looking elegant and classy, he wore a suit from TOM FORD and footwear from SUITSUPPLY. 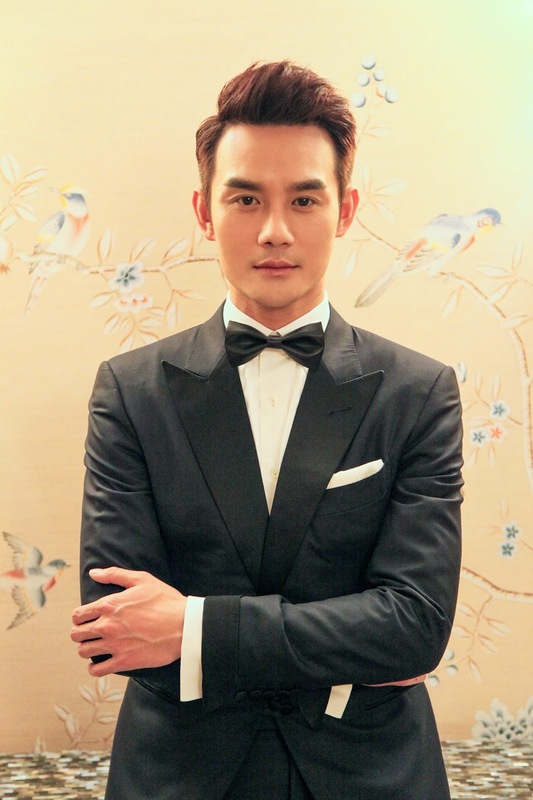 His styling, make-up and hair were done by 陆桂雨 and 東田造型奕行-郭继闯. 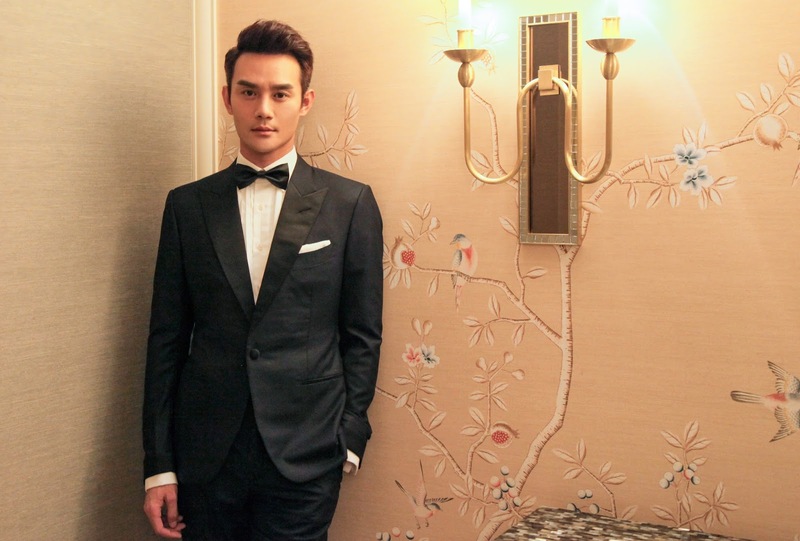 These photos were uploaded by the Wang Kai Studio Official’s Weibo account. 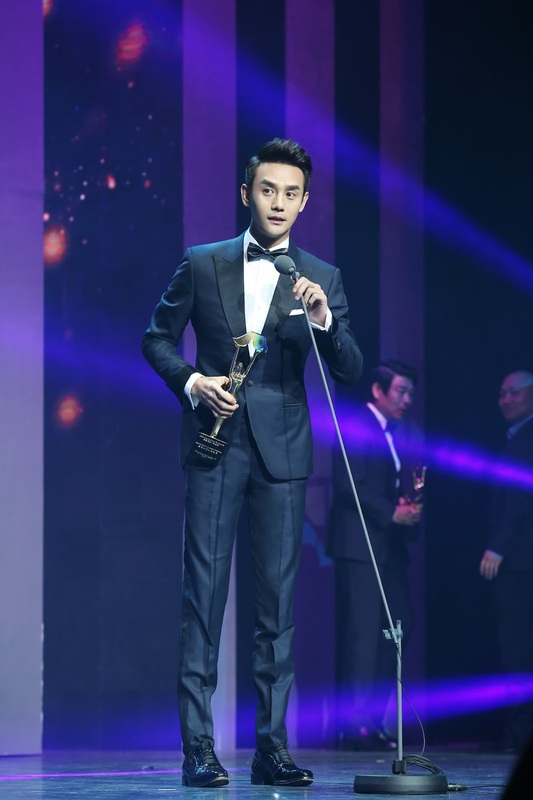 I’m really happy and glad that Wang Kai has been able to add another award to his list of awards and accomplishments. He works so hard and his effort is finally paying off. 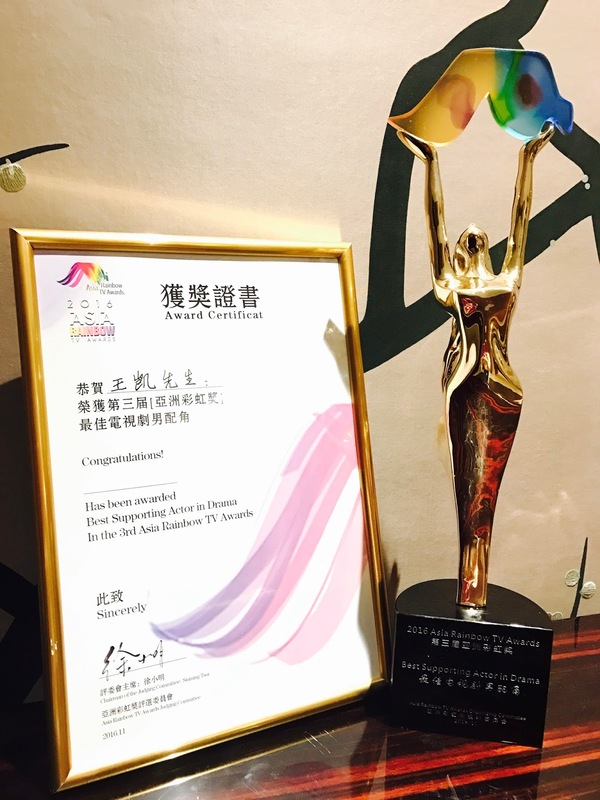 Congratulations Kaikai Wang!